Get peace of mind when renting your vacation home - Fireball Approves and so should you! This is Real News on Real Estate with your host Milton Figueroa! 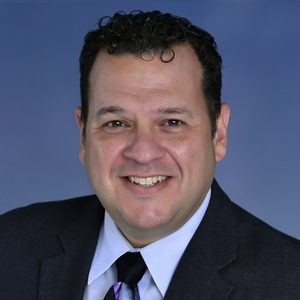 I am a Broker Associate with Deconova International Realty in Orlando, Florida and in every episode I bring you news and commentary regarding the residential real estate market. If you are a buyer, a seller, an investor or real estate professional, this show is for you! Enjoy! Whether you're getting ready to sell your home or you simply want to enjoy a better look for years to come, here are eight EC renovation projects that you can do today. Yes, even clumsy homeowners can probably do them themselves! A survey from bankrate.com shows that nearly two-thirds of Millennials have regrets about their home purchase. In this episode we explore the reasons why buyers may regret their home purchase and find solutions to avoid the feeling of regrets. We also look at what most Americans think are the barriers to homeownership and how to overcome them. Statistics show that more retirement age Americans choose to stay in their forever homes rather than sell and move to smaller places. In this episode, we examine how this change impacts the market and availability of homes for Millennials. Are Baby Boomers really to blame for the lack of housing options for Millennials? Ever dreamed of being a millionaire? Being a homeowner can help you get there. It can also help you live a better life in your golden years. However, you should avoid making mistakes along the way, especially when it comes to your mortgage. In this episode, we discuss 3 horrible mistakes that may derail your chances of attaining your financial goals. In this episode, we look at three powerful reasons to become a real estate investor in 2019. Whether you want to become a one-unit or a multi-family landlord, you should take into account the state of the market, the economic outlook, interest rates and changing tenant profiles this year. Hackers and other criminals are becoming very sophisticated and keep finding ways to steal money from buyers of real estate. In this episode, we discuss one instance recently reported in the media about a couple that lost $46,000 to a hacker. We also discuss what you can do as a buyer to protect yourself, and how real estate professionals can help their clients avoid falling prey to fraudulent schemes. Paul R. La Monica, Digital Correspondent for CNN Business, reports on two factors that suggest that the fear of a housing downturn may have been overblown. In this episode, we look at those two factors and how they may impact your local real estate market and your buying decisions in 2019. After all, national trends influence but do not dictate what happens in your local market. Bad credit advice can set you back in your quest for a new home. In this episode, we discuss six items of bad credit advice that you should never, never, ever follow. Listen in and avoid those mistakes so that your credit scores go up. Remember that the better your credit, the better financing terms you will receive from your mortgage lender. With rising home prices and rising interest rates, having excellent credit can help you buy more home for your money! Words are powerful. Therefore, watch what you say! In this episode, we discuss four things that a Seller should never say to a Buyer or a Buyer's agent when selling a home. We discuss how those words may come back to hurt your chances of getting the offer you want and how they may discourage Buyers from even making an offer for your home. When you are selling, you must let the home speak for itself. You must also rely on your real estate agent to do the talking and the negotiating on your behalf. In this episode - the last of 2018 - we take a look at an article from Steven John at Business Insider that gives us the top 5 mistakes made by millennials when purchasing homes. Well, it's not just millennials. I believe the survey findings referenced in the article apply to most buyers regardless of age. Start the year on the right track and execute your real estate strategy to perfection by avoiding these 5 mistakes. Enjoy and Happy New Year! Zillow reports that the average monthly rent in Central Florida went up to $1,472 per month in November, an increase of 4.4% from last year. That's nine times the national average! In this episode, I discuss how to protect your family from the uncertainty of rents via homeownership. After many years of expansion, 2018 saw the real estate market struggle with a slowdown. Interest rates went up and some people panicked. The question before us is the following: Is it time to party like it's 1994 or time to worry like it's 2007? In this episode we discuss the opinion of Conor Sen, a Bloomberg Opinion columnist, who compares previous slowdowns in the market in 1994 and 2007 and gives us an interesting point of view on what to expect this time around. If you want to become a homeowner in 2019, it's time to go from planning to doing. In this episode, I discuss an article written by Charlene Rhinehart for BlackEnterprise.com that gives us a very useful checklist with powerful ideas to step into action and make your homeownership dreams happen. Realtor.com tells us that 2019 will bring more Millennials to the market, more inventory and slightly less sales. 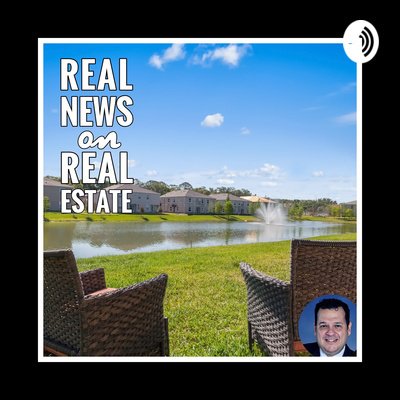 In this episode, we take a look at the growth outlook for the Top 100 real estate markets in the country, and discover that our Lakeland/Winter Haven market shows very a special forecast. In this episode, we take a look at sales stats for October 2018. Leading up to the winter season, October 2018 showed great results for the Florida real estate market, continuing an 82-month run in which median sales prices for both single-family homes and condo-townhouse properties increased year-over-year. We also discuss the outlook for the winter sales season and discuss four mistakes that you should not make when listing your Florida home. The road to a mortgage denial is filled with good intentions. We all have that know-it-all cousin or co-worker that gives us warm-hearted yet horrible advice. Even good advice in the wrong context can have lethal consequences and cause you to lose money and waste time. Be careful who you listen to when purchasing a home. In order to execute your real estate strategy, your Realtor and your loan officer should the source of your advice. The Financing Contingency protects you but it requires good faith and diligence when applying for a mortgage loan. Carefully drafting a financing contingency on your purchase contract can protect your deposit money and give you the appropriate time to get to the closing table. One of the best strategies for retirement planning is owning a home. In this episode, we are having a conversation about how becoming a homeowner helps you when planning for retirement. We also compare the current you and the future you both as homeowners and renters. Hint: owning your home makes quite a difference in the quality of life of future you. As interest rates continue to go up, patience becomes a much needed virtue for real estate buyers. Politicians, real estate and mortgage professionals, buyers and sellers have become impatient with the rising mortgage rates and their effect on the market. My advice in uncertain times: Be patient and timely execute your real estate strategy. A sometimes overlooked-yet-important part of the purchase process is the closing. Buyers and Sellers feel beat-up after dealing with showings, offers, contracts, lender document requests, inspections, repairs and moving preparation. Sometimes, Buyers and Sellers are exhausted when closing time comes around and they don't understand (or appreciate) the importance of the closing agent. Here are three key roles of the title company or closing attorney in your residential real estate transaction. Your Buyer skipped town the day before closing. What do you do now? Imagine this nightmare scenario for a moment: you entered into a contract to sell your home, and come closing day, your Buyer refuses to show up at closing and sign on the dotted line. As a Seller, what can you do at that time? In this episode, we discuss your three main alternatives to face that challenge. America is still optimistic about the real estate market. Renters are uncertain. How about you? A recent National Association of Realtors survey found that a record 77% of Americans believe now is a good time to sell, while 63% believe that now is a good time buy. The survey says that most believe that home prices will continue to go up and that prospective buyers are concerned about qualifying for a mortgage. Yes, amigos. Most people agree. It's a good time to buy or sell real estate. For Floridians, this is a great opportunity fueled by strong economic indicators. However, renters remain uncertain about their possibilities in a changing market. Going on vacation and renting a property through airbnb and VRBO - rather than staying at a traditional hotel - is becoming very popular. However, in a world full of scam artists, some folks are nervous about renting from independent owners rather than from a large hotel chain. Today we bring a special guest, Tammy Sorrento from FireballApproves, to discuss how to get peace of mind and ensure that you are dealing with legitimate entities when renting an airbnb. Real estate market is changing. Dare to proceed with caution! Interest rates are up and pending sales are down. Internet, radio and TV talking heads bombard you 24/7 with conflicting information about where the real estate market is going. Will it go up? Will it go down? What does this mean for you and how does this affect your family? In this episode we bring the state of the market into proper context and discuss a philosophy of proceeding with caution... but still moving ahead with your homeownership plans. Four reasons why the average FICO credit score has gone up. Where's yours? Don't be afraid to look. The average FICO credit score is now 704. How is yours doing? Remember that a great credit score can get you the best interest rates when purchasing a home. In this episode we explore four reasons why credit scores have gone up and explore ways to make yours increase as well. Multiple Offer Situation - Welcome to The Royal Rumble of Real Estate! Imagine this: You fell in love with a property and your real estate agent sent an offer to the seller. A day later, your agent calls and says: we are in a multiple offer situation. Ring the bell! In a hot market, a multiple offer situation feels like entering a Royal Rumble. Here are some valuable tips on how to deal with a multiple offer situation. Hint: It's the survival of the fittest! 10 Years After The Real Estate Crisis - Where Do We Go From Here? The financial meltdown of 2008 had a profound effect on many sectors of the economy, particularly in real estate. In this episode we discuss an article written by Sanjiv Das, current CEO of Caliber Home Loans. Mr. Das gives us his advice on what it takes to avoid another meltdown of the real estate market and I add my own ideas as well. Hint: Responsible lending, leadership, and risk-control are key. Ten years ago, the World economy almost came to a stop thanks to the financial meltdown. From the standpoint of real estate, loose lending standards, an overheated market and a frenzy of securitized mortgage instruments contributed to the 2008 meltdown. In this episode we take a look at how the meltdown started brewing from the perspective of lending and real estate... From lenders closing their doors in 2007 to the very difficult days of September 2008 when the "too big to fail" boys started failing. The chickens came home to roost ten years ago, but we survived! The final walkthrough is your last opportunity to make sure the property you are buying is in the condition it was promised to you. Use it wisely and schedule the final walkthrough as close as reasonably possible to closing time. Make sure everything is working fine before signing the dotted line! Today we discuss eleven ways to drive your Realtor crazy when buying a home! 😁😁 Actually, we discuss eleven behaviors that drive real estate professionals through the roof. If you constantly engage in these behaviors, not only your real estate agent will cringe, but so will the seller, the loan officer and the title company. Remove these eleven behaviors from your to-do list and ensure a happy and peaceful purchase transaction. Summer's almost over! Welcome to the best time of the year to buy your new home! Did you try to buy a home during the summer only to be outbid by the competition? Well, I have great news: We are now entering into the best time of the year to buy your home. Now that the busy summer selling season is coming to an end, you may find surprisingly great deals in the real estate market, pumpkin-spiced and all! Here's why. The real estate market is doing well, but there is some concern about an increase in foreclosure activity in Florida and other places. ATTOM Data Solutions reported that foreclosure starts increased in 44% of U.S. markets in July 2018. What does this mean for you? In this episode we continue the discussion of First Time Home Buyer programs. We know that these programs can help many families succeed in their quest to purchase a home. Two important items for future homeowners are understanding these programs and adhering to their rules to overcome time considerations. First Time Home Buyer and Down Payment Assistance Programs are great! There's a first time for everything and great programs for first timers in real estate. Even if you are not a first-timer, you may be treated like one if you have not owned a property in the past few years. Local governments and private entities have developed great programs to help first-time homebuyers with education and money for their down payment. Buying a home? Don't make these costly mistakes! An expert asked several real estate agents to share their experiences with the biggest mistakes that buyers make. The agents pointed out five big mistakes, which we discuss in the podcast. Making one of those mistakes can be lethal for your homeownership dreams. Be mindful and avoid them! Never let your financial past hold you back in your pursuit of homeownership. You may have had financial troubles, and you may not realize it but this may be the right time to pursue the dream of homeownership. In real estate, there's always time to make it right. Listen for an inspirational discussion of second chances and second opportunities to change course. Florida's Housing Market is doing well: what's next? Statistics are in, and they show that the Florida real estate market is healthy, improving in key areas from a year ago. The latest report from Florida Realtors shows increased sales, higher median prices and more new listings in the second quarter of 2018, all signs of a healthy market. The question is: where do we go from here? What comes first? The house or the ring? It's a growing trend: For many buyers, putting a ring on a house comes first, and putting a ring on a hand comes later. A report from the National Association of Realtors found that more unmarried couples are putting the ring on the house before they put the ring on the finger. Buying a home can be stressful but... there's a solution for that! Buying your new home is one of the most important decisions of your lifetime, and of course, it can be stressful. A survey from Homes.com says that 40% of home buyers think that buying a new home is the most stressful event in modern life. The process may look long and complicated, but there is a great solution for that. Listen, relax, enjoy and own your home today! The cost of renting an apartment went through the roof. It's time to buy a home and build equity! RENTCafe.com reports that the national average rent for apartment units reached an all-time high of $1,409 in July 2018. The average in Orlando? It went up 7.7% from July 2017 to July 2018 for the largest percentage increase among the most in-demand cities in the country. This is a powerful reason for you to consider purchasing a home sooner rather than later. Housing demand fell in June - what does this mean for you? A new report from Redfin via CNBC says that housing demand fell 9.6% in June 2018 as compared to June 2017. Reading beyond the headlines, what this means for the market and you? Is this the start of a crisis or the start of a market correction? Hint: I am in the camp that thinks the market is correcting itself so as to remain in a sustainable growth path and to avoid the unaffordability gap. You know why it's important to inspect before you buy. Today we discuss when to inspect your home. The timeliness of the home inspection is crucial because most real estate contracts include only a certain time frame to conduct the inspection. If you miss your deadline, you may have to purchase the property with all of its defects or potentially risk losing your earnest money deposit. Buying a home? Do not skip the home inspection! Here's why. Hiring a home inspector will give you peace of mind when buying a home. This step is not required by lenders, but is necessary to help you understand the true condition of the property you are about to purchase. Here's a discussion of why inspecting your new home is a great investment for you. In today's episode, enjoy a discussion of why the appraisal is so important when buying a home. Hint: it's about the real value and condition of your new home. Another hint: the appraisal is a professional opinion of value goes done by an independent licensed third party. Millennials and homeownership - yes, Millennials are buying! Millennials are buying homes, but not as early as prior generations. A new report from the Urban Institute looks at the possible reasons and explores homeownership decisions among millennials. Stay within budget, the shark tank can wait! Size does matter! When buying a home aim for the right size and the right budget, because bigger is not always better. Can't go wrong when buying a home with a 300-gallon shark tank? Well, yes you can. Listen for a fascinating discussion of a story from Tarek El Moussa that reminds us to stay within budget when buying a home. And yes, the Shark Tank can wait. Real Estate Investors: Are Foreclosures Dead? Foreclosure rates are down nationwide - 78% from their peak, 15% from last year - and Florida is no exception. With an improving economy, distress sales are a smaller part of the market. However, there is still opportunity for real estate investors thanks to better financing options. It takes 6.5 years to save for a 20% down payment - why wait? The Bad News... it takes renters an average of 6.5 years to save for a 20% down payment. The Good News... the lending industry has developed excellent loan programs so you don't have to! While bringing 20% down to the closing table will save you some money by avoiding PMI, sometimes it's not worth waiting for a 20% down. With rising home prices, delaying your homeownership dreams may be more costly down the road. Vacation homes are becoming very popular and profitable for investors using the Airbnb model. Owning properties and renting them on a short term basis using Airbnb, VRBO and other platforms can be profitable. There are multiple ways of financing your Airbnb and diversifying your real estate portfolio. In this episode we explore why you can't let your fears about getting a mortgage be bigger than your home ownership dreams. Never be afraid of making the right choice for your family. Never be afraid of a mortgage. Your Equity - It's time to tap that! Home values have gone up, and as a result, homeowners are now sitting on a proverbial pile of cash of over $5.8 billion. Do you have too much home equity sitting around? Well, it's time to tap that! From home improvements to seed money for further investments, your equity may allow you to create additional wealth. There are excellent loan options to make your hard earned equity work for you! Today we discuss PMI - what it is and how to get rid of it. Remember, PMI is an expense that you pay when you finance over 80% of the value of your home. PMI does not benefit you, but you still pay for it! There are ways to eliminate this cost from your monthly mortgage payment. Orlando is No. 2 Nationwide for gamers! Fortnite, Clash Royale, Xbox, Nintendo, PlayStation, PokemonGo fans, Orlando is for you! WalletHub compared the 100 largest U.S. cities across 20 key indicators of gamer-friendliness, from average internet speed to video-game stores per capita to number of esports tournaments. And guess what? Orlando is No. 2 nationwide! Declare your Independence and get ready to own your own home today! If you are a renter, or if you live with your parents, use this Fourth of July Holiday to get inspired about homeownership. Become the Founding Father or Mother of your own destiny! Just remember that it takes time between your Declaration of Independence and the actual purchase event that makes you independent. If you are self-employed you must pay special attention to documenting your income when applying for a mortgage. You may make the money, but if your tax returns and bank statements don't show it, then... it's the same thing as not having it. Can't show it? Can't use it! Also, what matters is the bottom line when considering income. Too many deductions from your gross income can disqualify you from purchasing the home of your dreams. From my days as a loan officer... One of the most important aspects of the real estate transaction is closing the deal on time. In this episode, I discuss what what happens between the time your lender pre-approves you and the closing date. You will also find tips on how to help your loan officer in the quest for a timely closing and 5 major mistakes to avoid between pre-approval and closing. Ace! Boomerang Buyers Are Back! Are you a Boomerang Buyer? If you had a bankruptcy, foreclosure, deed in lieu or short sale in the past, you may be ready to come back into the real estate market. You may not have to wait as long as you thought to become a homeowner again. Yes, your new home may be closer than what you think! Zillow reveals that two out of the top five markets for first-time home buyers are in Florida! Out of the Top 5 Markets for First-Time Homebuyers nationwide, Tampa is #1 and Orlando is #4. If you are a First-Time Homebuyer, we should talk! There are plenty of opportunities available for you in Central Florida. Lenders are expanding their offerings to bridge the gap from renting to owning, with new programs that include little or no down payment. More people came to the market looking for a mortgage last week. I explain why it matters and why it may be time to consider refinancing your loan. Yes, for some homeowners, it may make sense to refinance! If you are concerned about raising interest rates, it's time to take action amigos! A survey conducted by the University of Florida shows that consumer sentiment among Floridians increased again in May and is expected to remain high in months to come. This is great news for homebuyers!